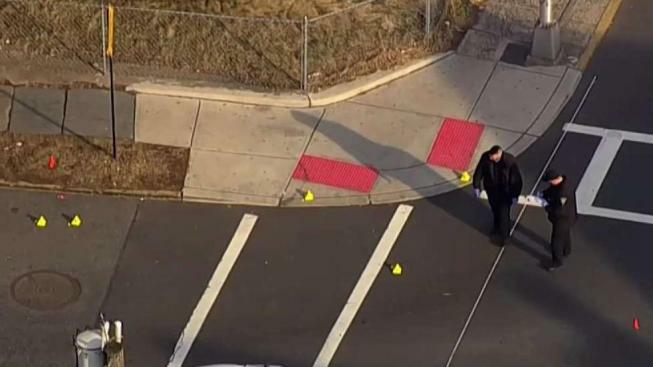 A teenage boy was shot to death in broad daylight just steps away from a New Jersey high school, prosecutors say. Police officers rushed to the scene of the shooting and found Marquise Jenkins, 18, suffering from gunshot wounds on Clinton Avenue, near Irvington High School in Irvington, just before 3 p.m. Wednesday, Essex County prosecutors said. Jenkins, who lived in Irvington, was taken to University Hospital in Newark, where he was pronounced dead, according to prosecutors. No one had been arrested in connection with the shooting as of Wednesday evening. Surveillance video from the scene shows the teen running from a hooded shooter. Cell phone video captured first-responders trying to save Jenkins' life. A neighbor who lives near the scene of the shooting told News 4 she was inside her home when she heard shots being fired. "I heard bang, bang, bang, bang," she said. "It was at least 4 or 5 shots. He's just a kid. He hasn't even graduated from high school. He lost his life." It wasn't immediately clear whether Jenkins was a student at the school. The motive behind the shooting also remains unclear and the shooter is still on the loose. Anyone with information about the incident is asked to call the Prosecutor's Tips Line at 877-847-7432.